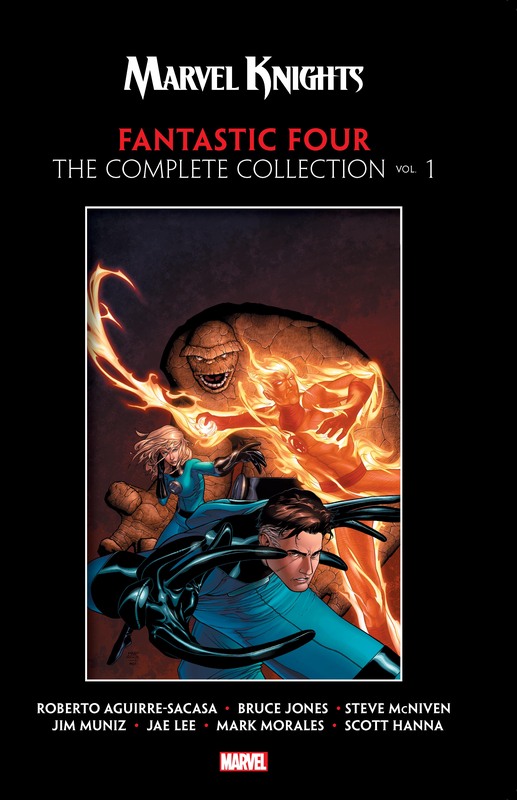 Collects Marvel Knights 4 #1-14, Hulk/Thing: Hard Knocks #1-4. 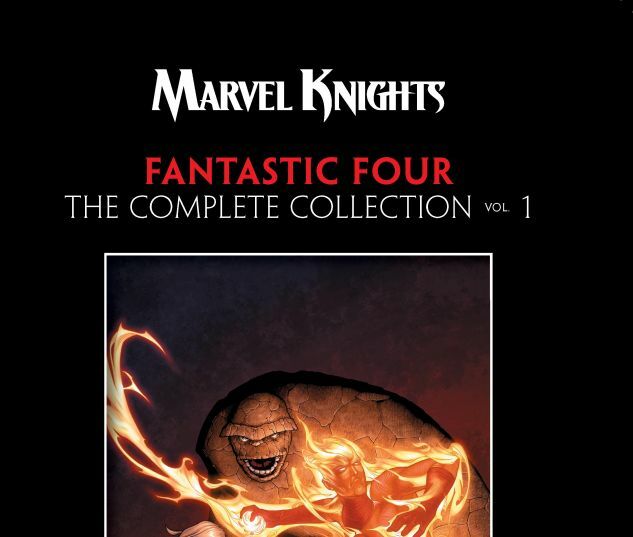 The far-out Fantastic Four join the hard-hitting Marvel Knights imprint! 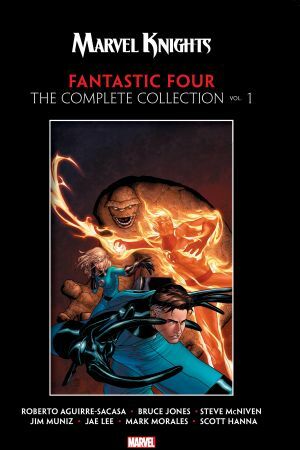 The FF must regroup to overcome the one threat their incredible powers cannot defeat — bankruptcy! And when Reed, Sue and Ben take Franklin on a camping trip to the Pine Barrens, what they find is a strange creature that may well be the Jersey Devil! While New York freezes in the icy grip of winter, an old foe resurfaces with a grudge: Namor! But soon the team’s deepest fears and doubts are spreading from their dreams to the waking world. Their old villain Psycho-Man may hold the key, but he’s…dying?! And blind sculptress Alicia Masters has her sight restored — but at what cost? Plus: Witness the ultimate Thing/Hulk battle — it’s a knock-down, drag-out slobberknocker that will rattle your molars!